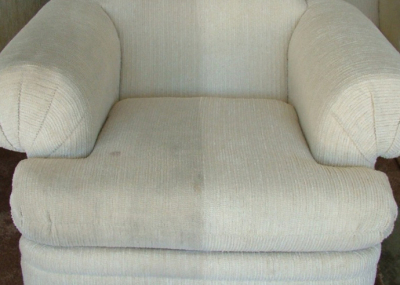 Have you noticed that your furniture’s upholstery is dirty and looks a bit unkempt? If so, then we urge you to make the call to our team today and allow us to provide you with the very best in upholstery cleaning solutions. Our carpet cleaning team in La Mesa, CA is ready and willing to provide you with the help you need, and when you make the call to our team today, we will do our part to arrive to your home promptly and begin doing whatever it takes to repair your upholstery and make it look better than ever before. You’re going to be pleased with what we can do for you, so what are you waiting for? Make the call to our team today, and allow us to provide you with a helping hand. However, before we can begin repairing your furniture’s upholstery to a like-new condition, we must first take a sample of your furniture’s upholstery and analyze it to discover the best methods for repairing it to a proper condition. We do this because not all furniture upholstery is made the same – in fact, there are so many varieties of furniture upholstery that it would be extremely dangerous for us to repair your furniture’s upholstery without first analyzing it to ensure that we can properly fix it! Once we discover the best way to fix your furniture’s upholstery, we will do so by using our tried-and-true methods of repairing the furniture’s upholstery, so what are you waiting for? Make the call to our carpet cleaning professionals in La Mesa, CA today and allow us to provide you with the help you need today! Before you believe that you can clean your furniture’s upholstery yourself with rented equipment and solutions purchased from an ordinary department store, stop right now before you do anything further. 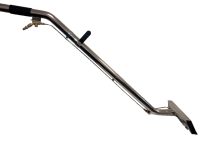 The rented equipment and solutions purchased from an ordinary store will do little to nothing to repair your furniture’s upholstery, meaning that you are actually wasting your time in the long run. The best way to ensure that your furniture’s upholstery is repaired to the best possible state is to simply make the call to our team immediately, to which we can fully repair your furniture’s upholstery and ensure that it looks at its best. Many of our past customers return to us when they need their furniture’s upholstery cleaned once more for good reason: because we clean it the best way the very first time. Why wait? Make the call to our La Mesa team today, and learn what it means to have furniture that you can be proud of once again!